After trekking through the biting South Bend cold on Nov. 26, 1842, Rev. Edward Sorin, C.S.C., first laid eyes on the 524 acres bequeathed to the Congregation of Holy Cross to build a Catholic university. He admired its two lakes and surrounding forest and started planning his ideal landscape. 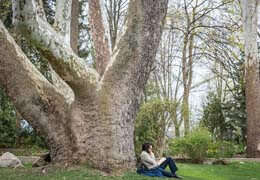 He may have encountered a young sycamore tree that grows behind what is now Corby Hall. Currently one of the largest trees on the University of Notre Dame campus, it is 80 feet tall and has thick, finger-like limbs that curl toward heaven in apparent angst. And certainly Father Sorin appreciated the ash trees, oaks, hickories and maples that surrounded St. Mary’s and St. Joseph’s lakes. But taming this “savage wilderness,” as one newspaper account in 1844 described the property, was necessary in order to create the pedestrian-friendly, academic utopia Father Sorin envisioned. The flora on campus remains integral to its beauty. About every 25 years since 1966, botanists have completed campus surveys to record the variety and location of all trees, vines and shrubs, collectively known as woody plants. As the 175th anniversary of the University’s founding approached, leaders of several administrative departments recognized the opportunity to expand the survey to include information on the condition of each planting, as well as the location of donor memorial tree plaques. Jessica Woolley, who managed the Work Control Center where all campus maintenance requests are submitted, envisioned how the data visualization and analysis tools of the dataND program could make the tree survey data accessible to the campus community. Employees in divisions such as Landscape Services could use mobile devices to view the detailed information while they cared for thousands of trees across campus, and Development staff could use the same digital map to pinpoint the exact locations and corresponding data of all donor plaques. 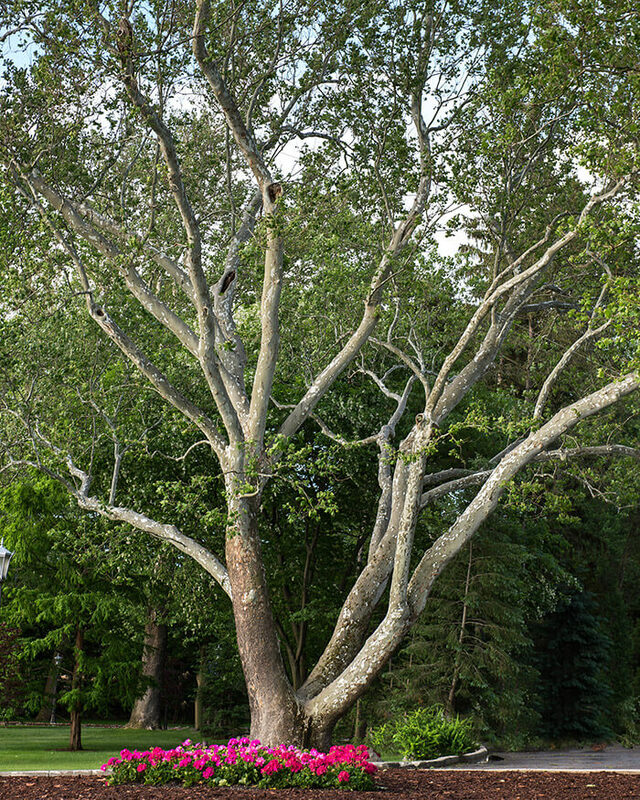 “Moving information to a common database allows for improved tracking and management of trees, and aligns with the University’s commitment to maintaining a healthy, green footprint on campus,” noted Suzanne Dunne, director of Finance and Administration. A gift to Landscape Services from Tom and Lucy Korth for campus beautification made the data collection process possible by covering the cost for summer undergraduate researchers. Rev. P.E. Hebert, C.S.C., completed the first survey of plantings on campus in 1966, listing 482 trees, vines and shrubs and documenting 2,380 different plant locations. The second survey was completed in 1992 as part of the 150th anniversary of the University’s founding. During that survey, Barbara Hellenthal, associate professional specialist and curator of the Museum of Biodiversity, along with students working under her direction, updated and expanded upon the information collected by Father Hebert. 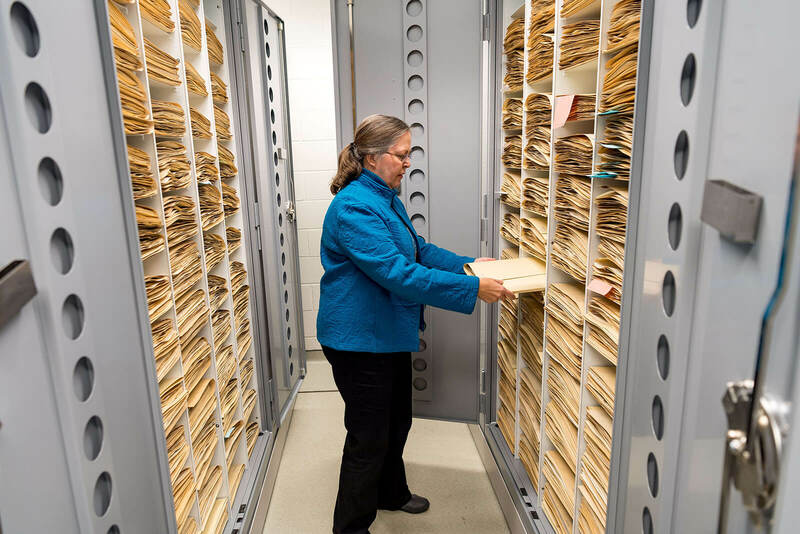 They documented 4,782 plant locations that survey, which was the basis for the book “Trees, Shrubs and Vines on the University of Notre Dame Campus” published by the University of Notre Dame Press in 1993. The most recent survey began in May 2016. Each rain-free morning for two summers, Barbara Hellenthal and her student assistants, Stacie Skwarcan, now a fifth-year student, junior Justin Peek and sophomore Ben Dowd, filed out of the Museum of Biodiversity in Jordan Hall carrying clipboards, resealable plastic bags, tape measures, a camera, GPS recorders and clinometers — instruments used to measure tree height. On one crisp summer morning, Skwarcan, clipboard and GPS recorder in hand, stood opposite a sugar maple behind the Ricci Band Rehearsal Hall as Peek used a measuring tape to measure the girth of the tree. After calling out the measurement so Skwarcan could record it, Peek backed up and raised the yellow clinometer to his eyes. Measuring the distance Peek stood from the tree as well as the angle to the crown, the device calculated the tree’s height and flashed it on its digital display. Occasionally the students snipped small samples of twigs, flowers or fruits from shrubs or trees, placing them in the plastic bags for further identification back in the museum. 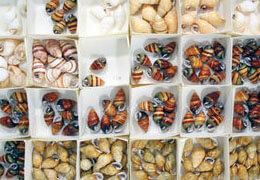 There they combed through botanical books with Barbara Hellenthal to pinpoint the precise species and variety. 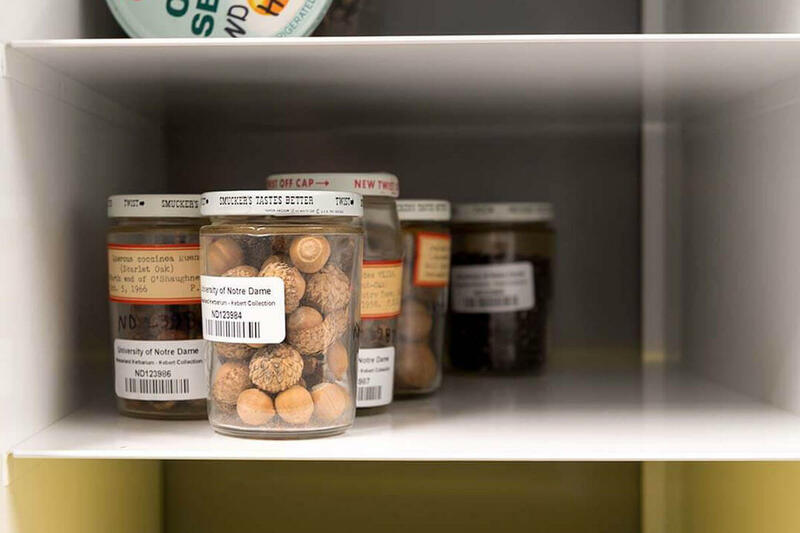 Sometimes the group compared its samples with specimens already stored in the floor-to-ceiling cabinets that contain the 213,000-specimen Greene-Nieuwland Herbarium. 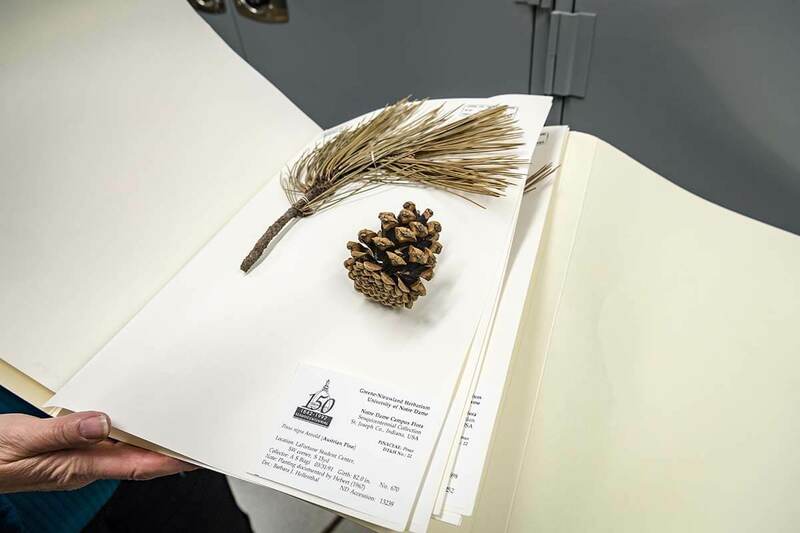 The collected campus plant samples were then dried, mounted and integrated into the museum’s herbarium collection for future reference. Completing the survey gave the students an appreciation for the diversity of plants around campus, some of which they learned are edible. During one recording trek, Peek plucked a blue-black berry off an apple serviceberry tree and popped it in his mouth. The tree, which blooms with white flowers in the spring, isn’t native to South Bend but tolerates its severe winters well. “These are good, and there are quite a few around campus too,” he noted, adding that sometimes the team had to dodge cedar waxwings that flocked to the trees’ fruit. As Hellenthal and the students worked their way in sections across the campus, they noted several vestiges of Father Sorin’s landscaping vision, as well as that of Holy Cross Brother Philip Kunze, C.S.C., who from 1870 to 1926 introduced a dizzying variety of European species to the heart of campus. 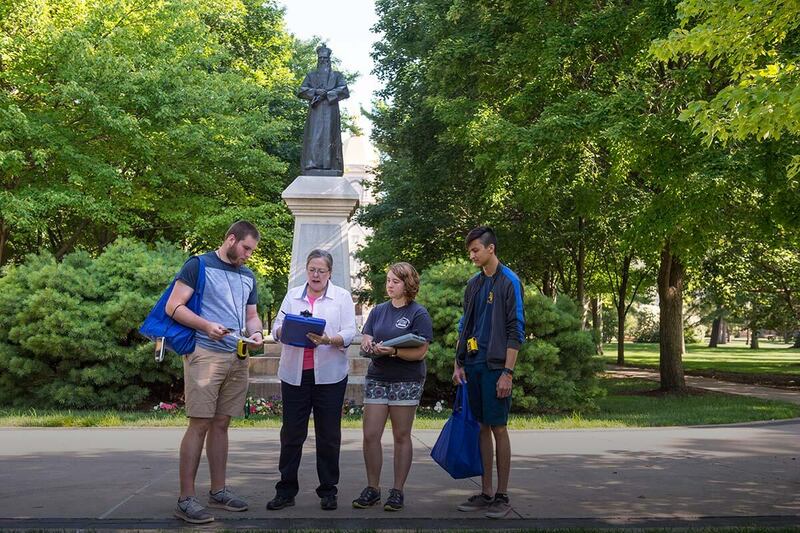 The double-maple lined paths leading from Notre Dame Avenue to the Main Building represent Father Sorin’s idea of a lush, green “grand avenue” linking South Bend to the campus. Though hostas have taken the place of Brother Kunze’s yucca plants that once graced the sidewalk in front of the Main Building, the character and feel of the foliage remains similar. After she and the students recorded each tree, plant and vine, they entered all the information into a database. Ron Hellenthal converted their data into protocols used by the University’s work-order system, called AiM, while Woolley and Dana Schrader, a business intelligence analyst in the Office of Information Technology, worked together to develop Tableau reports to turn the data into accessible, visual information. Because GPS information is occasionally inaccurate, Barbara Hellenthal and the students then verified several entries using Google Earth and compared that with the University’s GPS benchmarks. 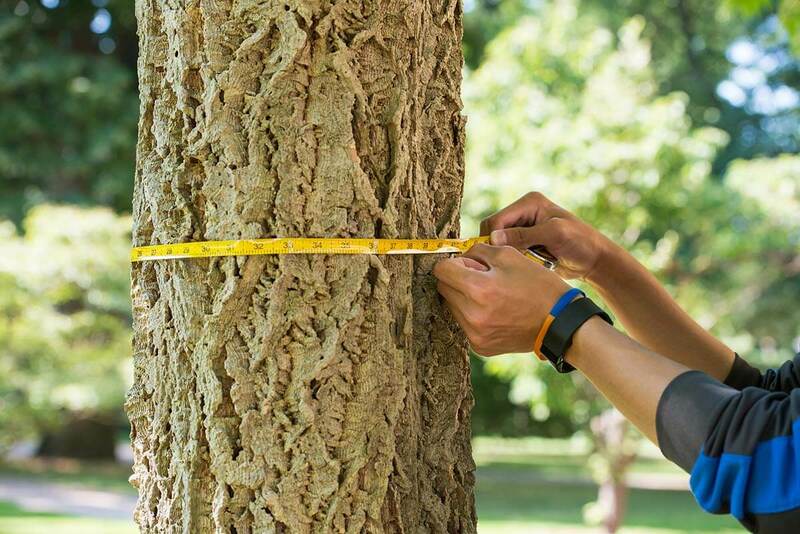 Knowing the exact location of trees is important when making campus landscaping and management decisions that include preserving, relocating or removing trees during building construction. Utilizing Tableau’s mapping capabilities and the GPS coordinates collected from the tree study, Woolley created a campus map displaying both the tree location and some of the tree details. 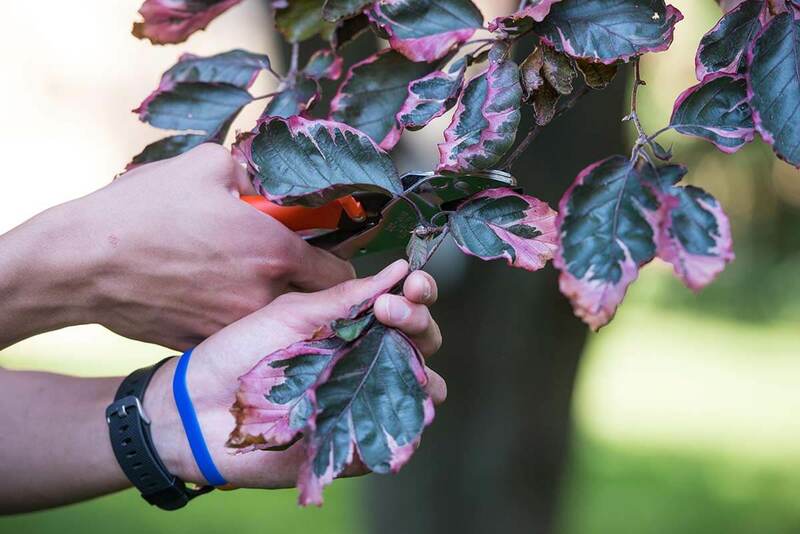 Woolley then collaborated with Schrader to turn the map into the interactive, informative dashboard that both shows users about the abundance of natural beauty on campus through all its trees and shrubs. 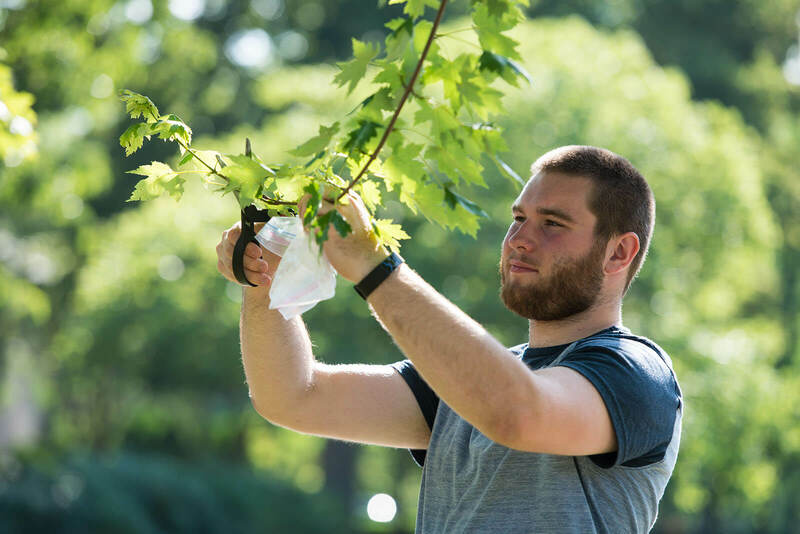 In all, the 2016-17 campus tree survey yielded more than 10,000 plantings. This information will be included in a new publication that will expand and update Hellenthal’s out-of-print 1993 book.